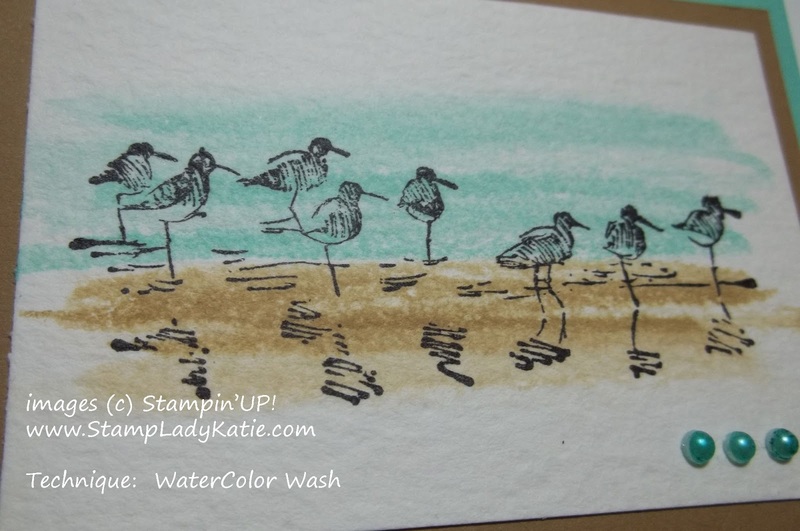 One more card made with my new favorite stamp set: Wetlands. This card was the one used to showcase the August Technique of the Month, which was Water Color Wash. The technique is perfect for this card - don't you think it looks like the birds are walking along the shoreline? Then swish a paintbrush across the image in your desired colors. I love how clean and simple this card looks. All the white space and the color combination of Baked Brown Sugar and Coastal Cabana on White really gives it the look of a beach. And speaking of colors, did you notice the pearls? 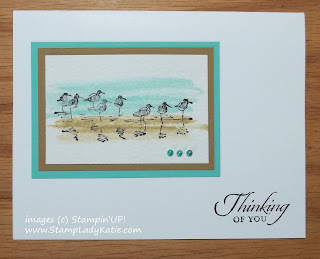 The small pearls on this card are Stampin'UP! 's Basic Pearls, which are self-stick, but come only in white. However, you can color them with a Sharpie. 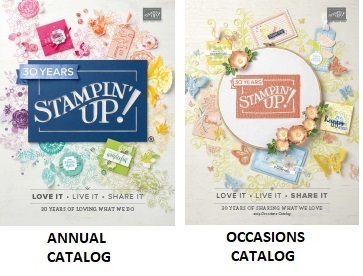 Amazing how well the Sharpie turquoise marker matches Stampin'UP! 's Coastal Cabana. Do you like this card? Leave a comment below. And if you like learning techniques then sign up for one of my classes. 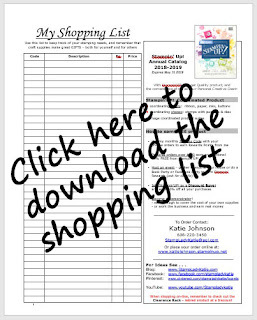 You can see the class schedule here and follow the easy on-line sign-up process. Thanks, my local stampers really liked this card. 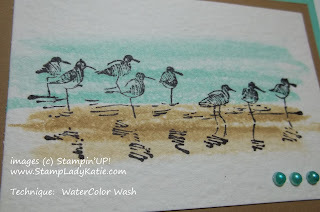 The technique is SO easy and these images were perfect for water color.